Parents and kids have shaped the new Alhambra, Ed Stephens discovers. If your aim is to create a vehicle that will sell to families, who better to turn to for ideas than the families themselves? 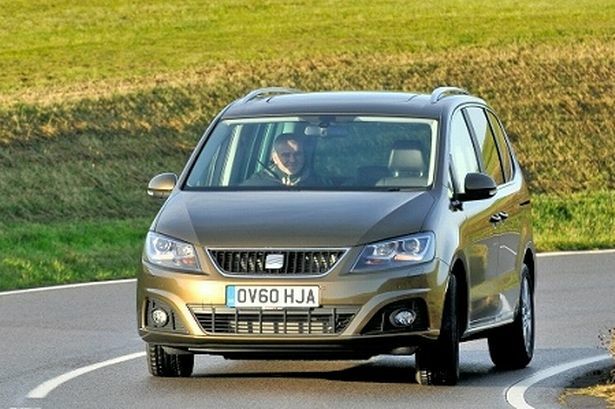 And that’s exactly what SEAT did when designing it’s new Alhambra seven-seater MPV. The Spanish car maker invited children between the ages of six and 14 and their parents to check out the seating and doors on the prototype vehicles and then listened to the constructive criticism and made the changes it felt were necessary. It’s an exercise which has proved invaluable because the latest Alhambra is one of the most user-friendly people movers I have come across. On the previous model if you needed more load carrying space rather passenger space you had to physically take out the seats in either or both of the second and third rows, which could be quite challenging. Now it’s simplicity itself to create extra space as both the three seats of the middle row and the two seats of the third row fold to give a completely flat load surface in seconds, with no lifting. It means that you can quickly transform your Alhambra from a seven-seater passenger vehicle to an MPV with the load carrying capacity of a small van. And there is more space than with the previous model because the newcomer is both longer and wider. When all the seats were in place, however, what the passengers that I carried in the vehicle really liked was the stadium seating, which meant that the second row of seats was slightly higher than the front row and the third row of seats was higher than both, so everyone had a good view through the windscreen. My test car was the E Ecomotive 140 bhp TDI model but came with the £995 optional extra of power operated tailgate and power operated sliding rear doors on both sides of the vehicle, Not essential but a really nice up-market touch. And the nice thing is you can open either the rear tailgate or the two side doors using the key fob or switches on the dashboard, not to mention the switches on the inside of the door pillars for the rear seat passengers to operate themselves. The new model with its distinctive arrow shape design not only looks good but cuts a real dash on the road. And what I really liked about the Alhambra was that – true to SEAT’s sporting pedigree – it was really enjoyable to drive. Okay it’s not a sports car but from the driver’s seat there is a definite sporting bias. This is no wallowing people mover but a sensible seven-seater with a good sporting suspension which means you can corner it hard and enjoy the way it responds. Despite boasting economy of more than 50 miles per gallon, my E Ecomotive was lively and responsive with plenty of pulling power and a superbly smooth six-speed manual gearbox. It comes well equipped with features like an electronic handbrake as well as an auto hold system so you don’t roll back on hills, dark tinted rear windows which add to the visual appeal of the vehicle and a stop/start system to improve mpg. You also get an on-board computer, cruise control and three zone climate control – so occupants of each row of seats can set their own temperature – to name just a few of the extras which make it so user friendly. It would be interesting to know just how many of the features on board have come from the input of members of the public. Either way the new Alhambra is now the one to beat.